Much like a charity shop takes donations of clothes, Julian House Bike Workshop accepts donation of bicycles. All the bikes that get donated contribute to the Julian House Bike Workshop mission and help to achieve positive change for vulnerable people in the local area. 1. Julian House Bike Workshop is not a scrapyard! 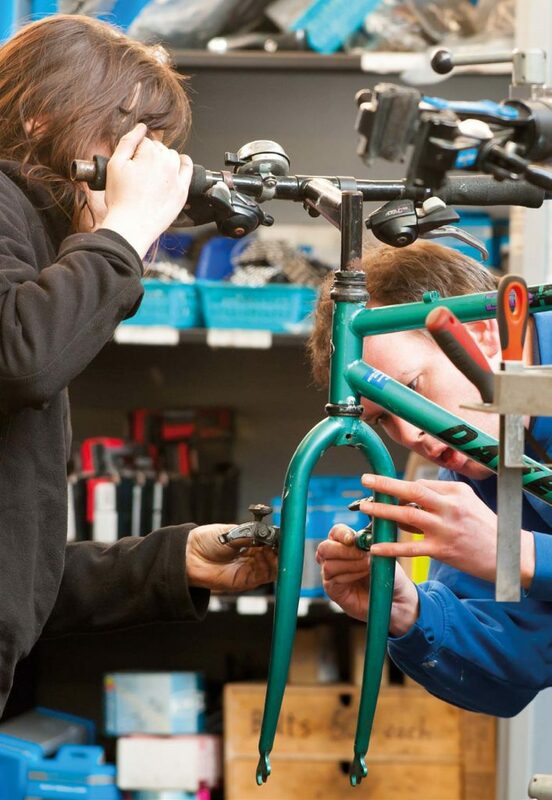 If a bike can be restored, then the Bike Workshop team will gratefully accept it. However, if your bicycle is only good for scrap, then you may be asked to take it away with you. 2. It is policy not to buy second hand bikes or parts. This is to avoid the risk of coming into possession of stolen property. 3. 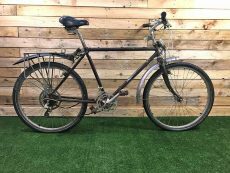 Donated bike that are in a poor enough condition that they cannot be economically reconditioned may be bundled together and sold on to other organisations. Julian House Bike Workshop takes donations of individual bikes and bicycles in bulk. All styles and sizes are welcome; mountain bikes, BMXs, ladies bikes, kids bikes and vintage racers are all in demand. For small donations, you should drop into your local Julian House Bike Workshop where a mechanic will be happy to see you. Donations can be made during normal workshop opening hours; details of which can be found in the contact pages. For larger quantities of donated bikes (10+), it is generally possible to arrange for collection. 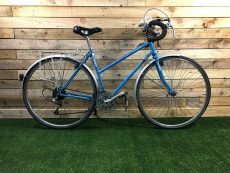 This is typically best suited for universities, colleges, local authorities or similar organisations who periodically build up large quantities of abandoned bicycles. To arrange a collection, please get in touch with your local workshop. How your donated bikes make a real difference to peoples lives. Thanks to your generosity, people like Danielle are using bikes to move forwards with their lives. Danielle spent her childhood in foster homes, became homeless at 17 and spent years in abusive relationships. Eventually she found the strength to seek help and start putting her life back together. She completed a build-a-bike course at our bike workshop, where an unwanted bike like yours was put to good use helping to rebuild her confidence, develop new skills and gain work experience. Danielle succeeded in transforming a donated bike into a machine she could be proud of. She went on to undertake a work placement and received further support and training from Julian House to find and secure paid work. “This bike means everything to me, because I built it. I never knew I could achieve something like this. To me it’s more than just a bike; it’s my freedom and my independence. My support worker calls it my ‘wheels to recovery”. Thanks to you, people like Danielle will have access to training, support and a lasting route out of hardship and disadvantage.